PASSWORD will be released at 7 pm! 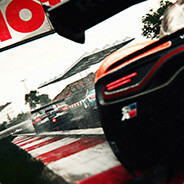 About GEF-GAMING.DE Multi Gaming Community mit Fokus auf Sim- Gaming und Racing. Assetto Corsa Competizione Servers online with build 6! Feel free to join us :) And: Please read the FAQ.